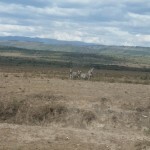 Today we drove from Nairobi to Nakuru; 3 hour drive, we saw some zebras and beautiful landscapes. 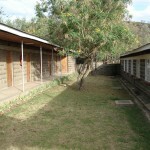 The pictures with Daniel are when we arrived at the Catholic Diocese of Nakuru and there are also some pictures of the facilities at this place. 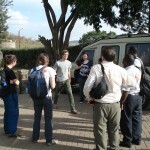 I came separately from the class a week ahead, but will be meeting up with them today in Nakuru, as they arrived last night. 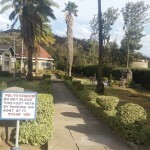 I spent the first week in a town called Naivasha with a Mr. Phantus Wambiya, a Kenyan sociologist, and a Mr. Daniel Mbandu, who works with the Nakuru Defluoridation Company, located in Nakuru, Kenya. 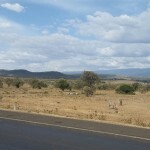 Naivasha is located on the shores of one of the East African Rift Valley’s many lakes, Lake Naivasha. Flower farming is one of the major industries in this region. 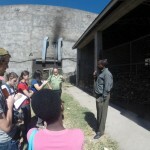 Large flower farming operations, most of which are European owned, have attracted many Kenyans from around the country to come and find work. 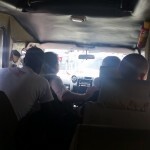 Salaries are meager, though, forcing the vast majority of the workers to live in informal settlements with no access to safe drinking water or adequate sanitation. One such slum, the community where I conducted my field work this past week, is called Karagita. Until five years ago access to any water was limited. The major water source was the lake itself, which is a couple kilometer walk from Karagita. Being a surface water, it is loaded with diarrhea-causing pathogens (I know because I tested for it). 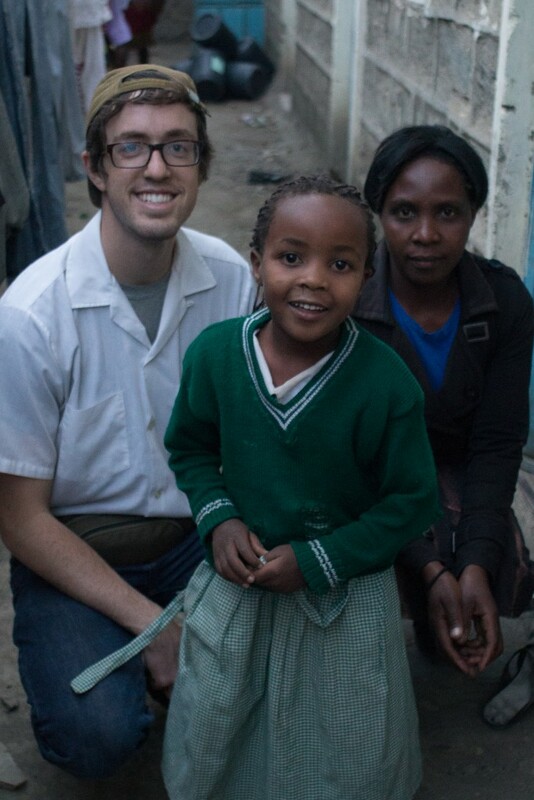 You can imagine how much time and energy is required for women and children to fetch unsafe water each day. Some people made a living by transporting large quantities of the lake water to Karagita using carts pulled by donkeys and selling the water to residents. Still more, some claimed to have treated the water, but it was impossible to tell how adequate the treatment was and whether or not it was treated at all. 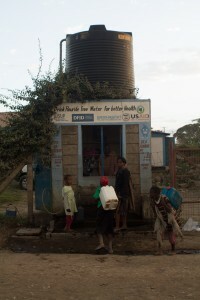 Then in 2008, UN HABITAT and WSUP (Water and Sanitation for the Urban Poor) teamed up to supply borehole water to Karagita via 15 kiosks distributed throughout the community. 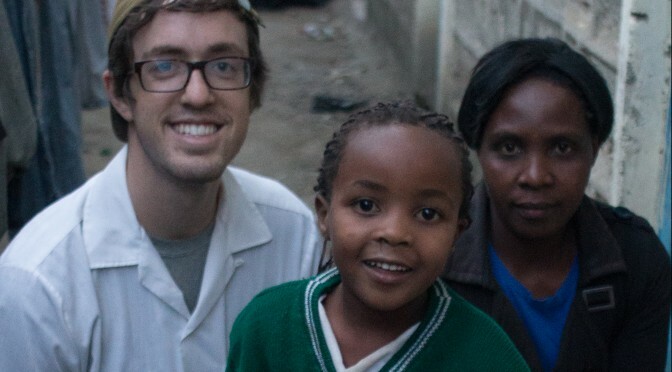 Despite being free of pathogens, the borehole water contained unsafe levels of fluoride, which above levels of 3 mg/L cause dental fluorosis, and above 8 mg/L cause skeletal fluorosis. 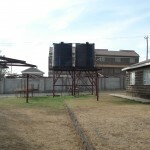 Water kiosk in Karagitau selling borehole and defluoridated borehole water. 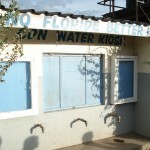 KaragitaWater kiosks in Karagita sell borehole water and defluoridated borehole water. As a reference, the World Health Organization maximum concentration level recommendation is 1.5 mg/L. Children are particularly vulnerable to developing these diseases, since their teeth and bones are still developing and growing. Knowing the levels of fluoride to be ~8 mg/L, WSUP contacted the Nakuru Defluoridation Company to supply the kiosks with defluoridation filters and launch a campaign to educate the community about fluoride and its effects. These filters have now been in operation for five years. The kiosks provide both filtered and unfiltered water. 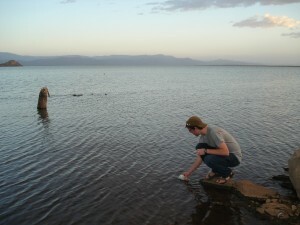 Unfiltered water costs 2 Kenyan shillings (0.02 USD) for every 20 liters of water, while filtered water costs 3 Kenyan shillings (0.03 USD). 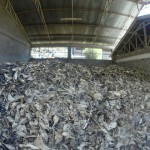 The increased price for filtered water covers the cost s of replacing the filter material. So now that people have access to cheap and (mostly) safe drinking water, the problem is solved, right? Wrong! 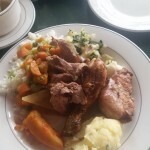 When I visited Karagita this past August, my two colleagues and I discovered that many residents were still consuming (drinking and/or cooking with) unfiltered water. Why? It is becoming clear that having access to water treatment technology or even improved drinking water itself does not necessarily equate to consumption and proper handling of clean drinking water. 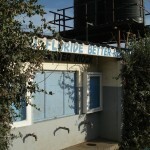 Other factors, including social, behavioral, and economic, are at work in Karagita that cause many residents not to consume this improved, defluoridated water. I assume that this situation is not endemic to Karagita, but exists in subsistence-level communities around the world. I spent the week in Karagita trying to understand what these factors are and to try to quantify their significance. 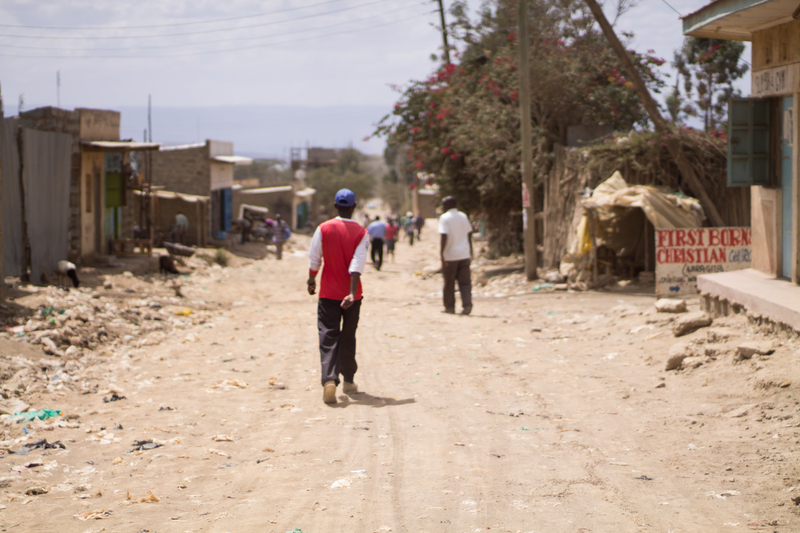 Phantus, Mbandu, and I systematically interviewed residents at 5 of the 15 kiosks with a survey that we developed. My hope is that we can use the results to determine the most significant factors that contribute to the decision to purchase or not purchase defluoridated water so that we can inform WSUP how to most effectively address this issue and thereby create positive behavior change. Engineering is a complex process. Traditionally, engineers designed solutions with technical and economic constraints as their only considerations. This paradigm must evolve to include social, cultural, behavioral, and environmental constraints. Engineers do not have the tools to measure economic, social, cultural, and behavioral phenomena, which is why it is important to reach out to and collaborate with people in other disciplines in order to create and implement truly effective and lasting solutions. 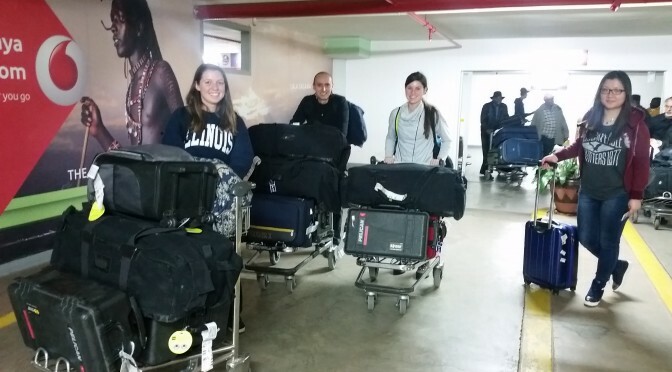 Graduate students Lauren Valentino, Bernardo Vazquez-Bravo and Undergraduate students Kristin Managlia, Xiaoge Tang, and Madeleine Turk arrive in the Nairobi Airport. 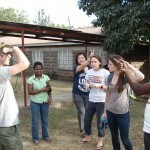 The Kenya travel team is getting everything ready for departure this Friday. 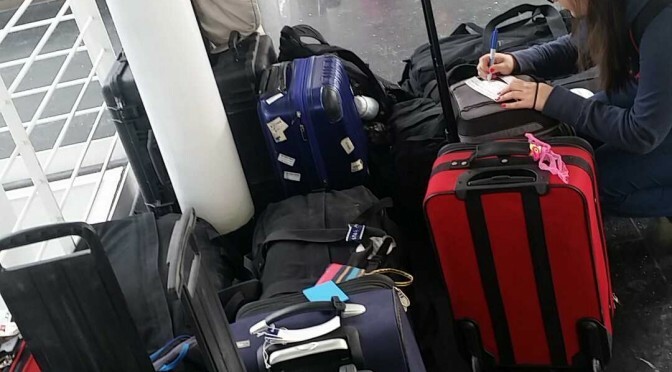 Each travel team member is packing their one carry-on. Our luggage is mostly field equipment. 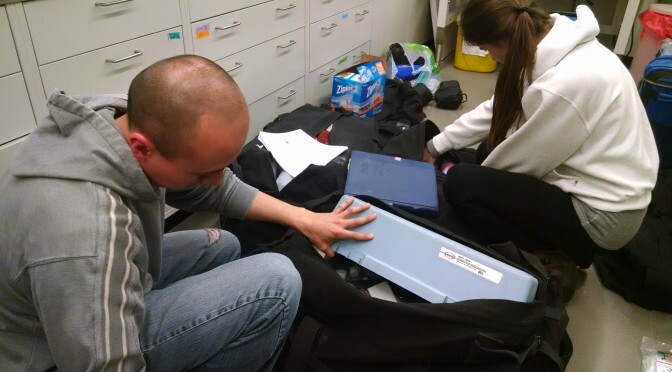 TAs Bernardo and Lauren have been packing the water quality testing gear. 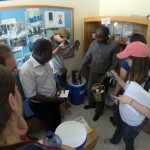 TA Daniel is already in Kenya visiting homes, taking water samples, and meeting with manufacturers about his research on fluoride removal using bone-char.